Hello Dosto! Agar aap ek Successfull blogger bnana Chahte hai toh Aap ko Apne blogging me SEO ka pura thyaan Rakhna padega. har Ek Success Full blogger ke piche SEO ka bhut bda yogdaa hota hai. Aaj ki meri post bhi Isi se realted hai. Almost har new blogger ki ek hi same problem Hoti hai ki hamare blog Ko traffic nhi mil rha hai. 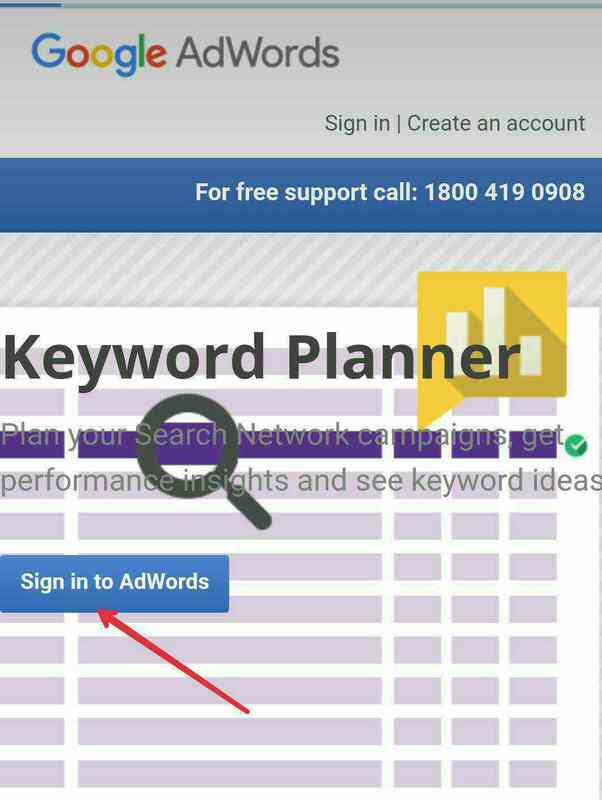 Toh mai aaj aap Ko Google ek free service ke bare me btane ja rha hai jiska Naam hai Google keywords planner. Google ki is service se hum aasani se High Quality Keywords choose kr skte hai. Jis topic per hum post likhna chahte hai uska foucas word Google keywords Planner se research krke hum Apne post ko fresh Contant bna skte hai. 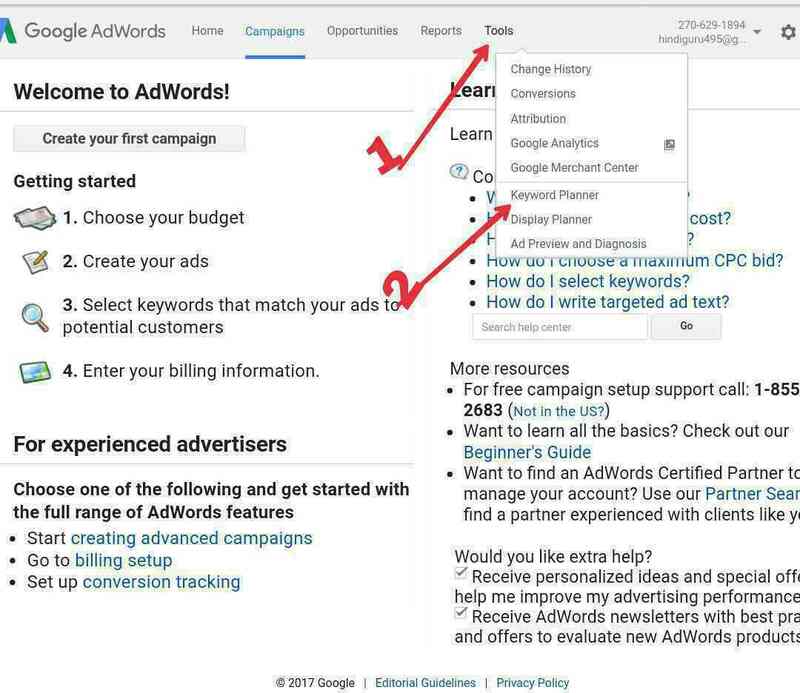 waise ye service AdWords Ke liye hai but hum is ka use Apne blog ke liye bhi kr skte hai. 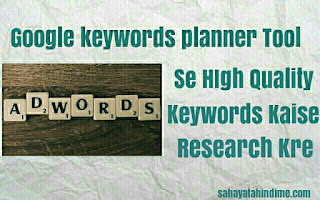 Google Keywords Planner se hum Apne Blog ke High Quality Keywords Choose kr skte hai. Jisse humare Blog ki traffic toh badti hai sath hi hmari income bhi increase Hoti hai. Ye tool hame ye bhi btata hai ki Kon SA Keywords ek month me Google per kitni bar Search Kiya gya hai. Kai bloggers ki hamesha yahi shikayat Rehti hai ki Apne blog per high Quality post likhte hai fir bhi Google se Organic traffic nhi milta hai. Aise bloggers Ko mai yahi khana chahuga ki agar high Contant ke sath sath agar high Quality Keywords ka use krege toh aapko traffic ki kabhi koi shikayat nhi hogi. Bina keywords ke post Ko Google search Engine Egnor kr deta hai. Isliye Hume Google se traffic nhi mil pati hai. high Quality Keywords se hmara page bhi Google me Rank krta hai Aur Google hamari post Ko Index bhi krta hai. 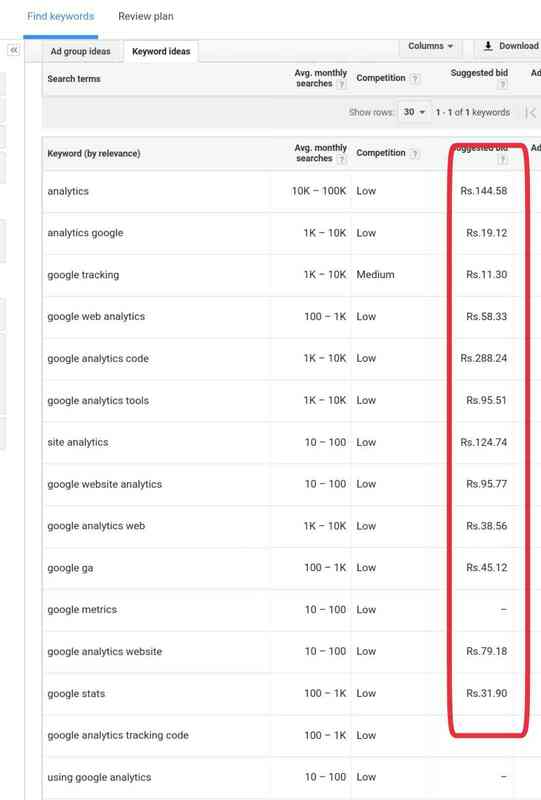 Adsense ke liye bhi Google Keywords Planner bhut mayane Rakhta hai. Kai bar humare blog ki CPC bhut low Rehti hai. Agar apne blog Ko cpc Ko high krna chahte hai toh Google keywords planner se High CPC wale keywords research kr ke in ke uper post likhe ya fir Apne post se realted High CPC wale keywords research kre. 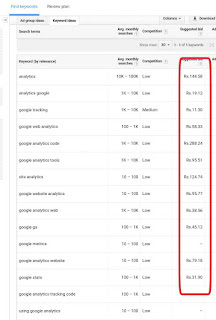 Google keywords planner Hume ye bhi suvidha deta hai ki hum ye bhi dekh skte hai kis keywords ki CPC kitni hai MATLAB Adsense me is keywords se realted post per click se kitne paise milege. 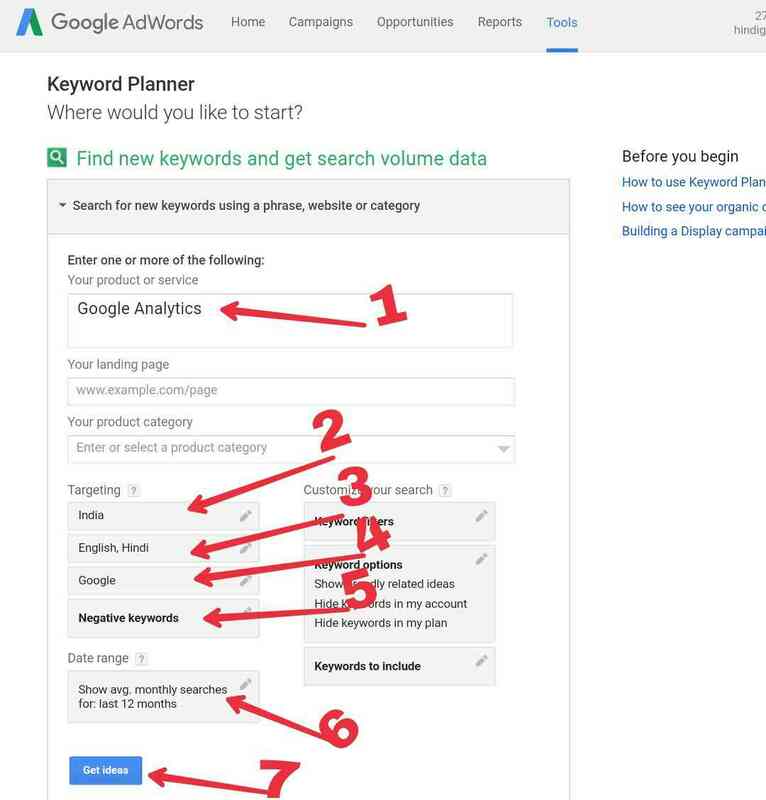 Ab aap ye acche se samjh chuke hoge ki Google keywords planner Tool kya hai Aur ye hamare blog ke liye kyu jaruri hai. 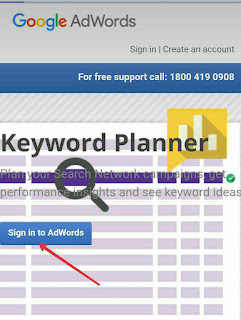 Ab hum janege ki kaise hum free me Google keywords planner Tool per apna Account bna skte hai. 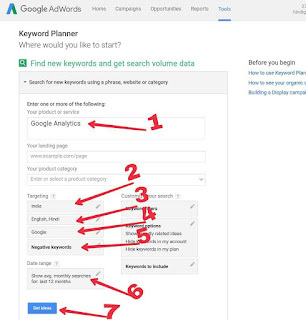 Sabse pehle Google keywords planner ki is Website per jye Aur Sign in per Click kre. 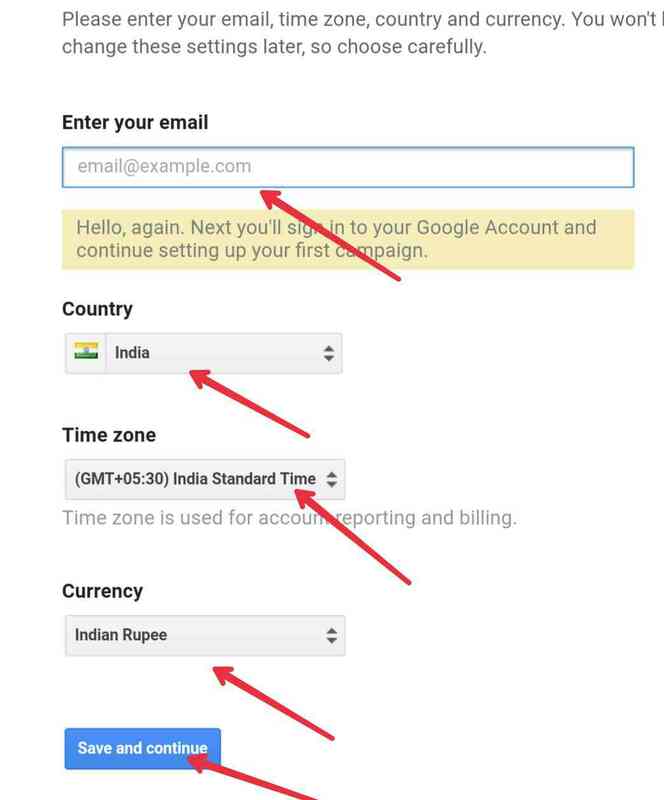 Ab Aap Ko about Gmail I'd dalna hai. Country Select krna hai. 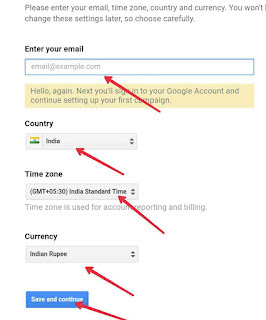 India Standard Time Select krna hai. Save and Continue per Click kr Dena hai. 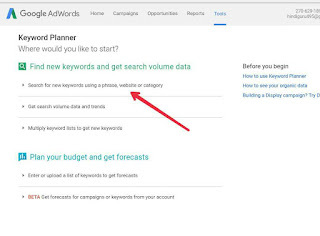 COUNTINE per Click krne ke bad aap Google keywords planner ke Dashboard per as jyege. Ab aap Ko Tool per Click krna hai. Fir Keywords Planner per Click Krna hai. Ab Aap Ko Search For New Keywords Phrase, Website or Category per click krna hai. 5. Ise Aise hi rehne de. Next Page per dekhega ki aap ke KEYWORDS se Realted jitne Keywords hoge vo aap ke samne Aa jyege. Keywords ke sath unki CPC bhi likhi hogi. Vo Keywords ek month me Google per kitni bar Search Kiye gye hai ye bhi likha hoga. Aap in KEYWORDS me koi bhi ek select kr le ho aap ke post se milta julta ho. 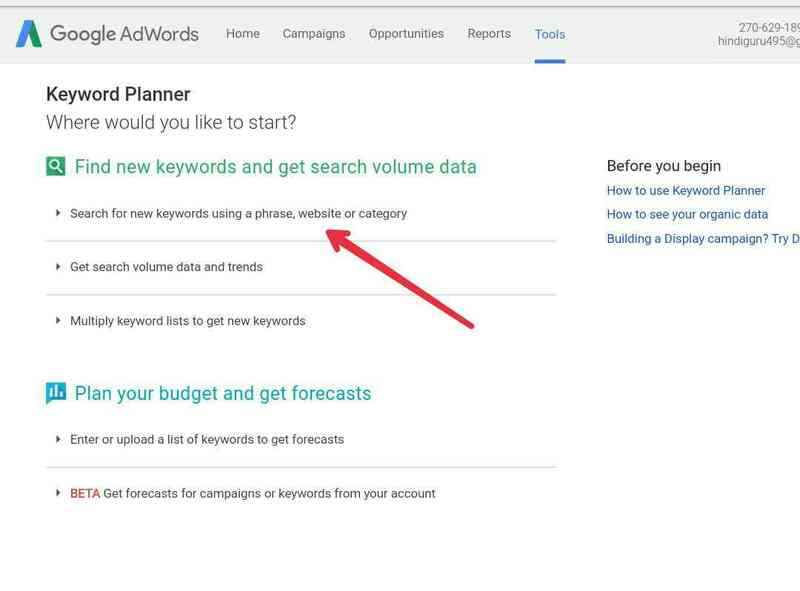 Google Keywords Planner se Choose kiye gye Keywords Ko use krne ke kuch niyaam bhi hai. aap in KEYWORDS Ko 100 word's me 2-3 bar hi use kr skte hai. Ise jyda use krne se Google per iska Negative asar padega. Isse ye bhi ho skta hai ki Google aapki post Ko Index hi na kre. Isliye Keywords Ko use krte wqat in baato ka khayal rakhe. Keywords Ko zabarjusti bhi khahi na dale. Aap ke post ki Line ke hisab se vo Keywords us jagah fit baithna chahiye. Aisa na ho ki aap apna Keywords 100 sabdo me jaise taise kahi bhi use kr liya. ise aap Ko koi faiyda nhi hoga. 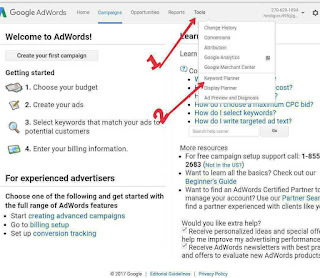 If you would like more information on Google AdWords itself or information on getting a professional Google AdWords account designed and managed click here.